Leading scaffolding contractor, Palmers, has been providing an innovative scaffold structure on the prestigious 24-storey “Hoola” twin tower residential HUB development in London’s Royal Docks, on the banks of the River Thames, run by one of the UK’s leading main contractors Carillion. 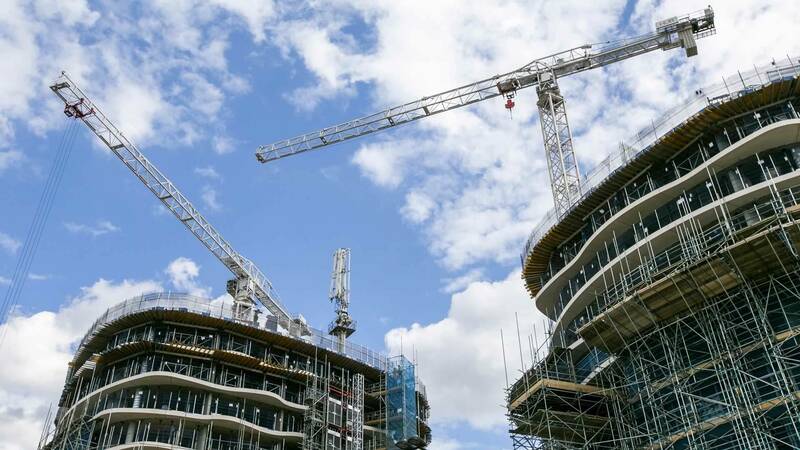 The large new scaffolding contract is the latest in a number of scaffolding and access provision contracts for Palmers with main contractor Carillion. And the complex nature of the works meant that tube and fitting was the preferred scaffolding equipment – necessitating the deployment of highly skilled, tube and fitting scaffolders for this job in London City E16 (just 20 minutes from Palmers main London Belvedere branch). The scaffolding requirements initially looked reasonably straightforward. However, post contract developments resulted in a more complex job requiring a significant scaffold design to allow the scaffolding to cater for Carillion’s requirements and the complicated architecture of the circling “Hoola” balconies on both 24-storey towers. Described by those on the contract (including the Palmers scaffolding operatives) as “one of the UK’s most challenging structures to provide scaffolding for” the scaffold’s primary function is as a protection deck for the public, with 24 complicated fan designs spanning both towers protecting the scaffolders on the development and the public below. There are also significant loading bays to facilitate the installation of prefabricated pods and a number of Uniscaff staircases, which will stay on the construction site after the scaffold structure is dismantled in January 2016 – almost a year after the project scaffolding was commenced. The £80 million Hoola development – funded by Chinese investors – is one of London’s most prestigious new developments and will provide 360 new homes, from studios to three bedroom apartments, many with views across the Thames, the O2 Arena and the Thames barrier, with the Emirates cable car soaring overhead.